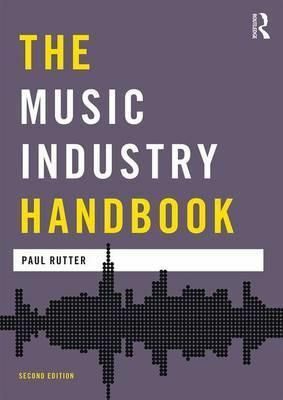 The Music Industry Handbook, Second edition is an expert resource and guide for all those seeking an authoritative and user-friendly overview of the music industry today. The new edition includes coverage of the latest developments in music streaming, including new business models created by the streaming service sector. There is also expanded exploration of the music industry in different regions of the UK and in other areas of Europe, and coverage of new debates within the music industry, including the impact of copyright extensions on the UK music industry and the business protocols involved when music is used in film and advertising. The Music Industry Handbook, Second edition also includes: * in-depth explorations of different elements of the music industry, including the live music sector, the recording industry and the classical music business * analysis of business practices across all areas of the industry, including publishing, synchronisation and trading in the music industry * profiles presenting interviews with key figures workings in the music industry * detailed further reading for each chapter and a glossary of essential music industry terms.